I’m starting my fourth and final week of the 4-Week Activia® Challenge and I’m feeling great! I’m getting over an ear infection right now (fluid behind my eardrums – not fun!) and while I was at the doctor getting a prescription he reminded me of the importance of probiotics. It’s reassuring to know that I’m getting probiotics daily in the Activia® yogurts I’m eating. That’s going to help my digestive system while I finish off the remainder of my antibiotics. Since switching up my desserts to healthy yogurts, I’m feeling more energy in the evening without that sugar overload crash that can sometimes happen after eating one too many cookies. I’ve been finding several ways to work Activia® into my meals at all hours of the day. Since it’s a quick snack, it’s easy to eat one before running out to run errands, it’s an easy late night dessert to satisfy my sweet tooth and there are so many ways to work it into mid-day snacks. I never thought I was a smoothie person but I decided to try making one at home last week and guess what? I’m totally a smoothie person! Oh my goodness, it was so delicious that I’ve started my days off with smoothies every day since. My easy smoothie recipe makes two large smoothies. Simply mix 1 cup orange juice, two 100g Activia® yogurts and 1 cup of frozen berries in a blender for less than a minute and you’ll have a tasty breakfast to keep you energized throughout the morning. Get Out & Get Active! Now that the weather is finally warming up, we’ve been getting out more to get active. We still have a few cold & windy days so we’ve been thinking of ideas for both indoor and outdoor play. For outdoor play, we’re visiting playgrounds throughout the city. We try to walk or bike to as many as we can for added exercise. There’s one park on the other side of the city that we call the “dinosaur park”. It has some sort of large play dinosaur fossil there for the kids to climb on. I’m not exactly sure what it is since my son refuses to get out of the car. Ha! Apparently it’s incredibly interesting yet terrifying at the same time! He keeps asking to go so we’ll keep trying. Maybe by the end of spring we’ll actually get into the park without just waving at the dinosaur through the car window. My son is turning four soon and he’s starting to show more of an interest in sports. He starts on a soccer team in about a week and he loves going out with us to play tennis, golf and baseball. He doesn’t play by any rules but that’s okay with us! We just laugh, chase the ball around and get some exercise. To fuel our bodies for all this activity, I’ve been working more protein into our diet. 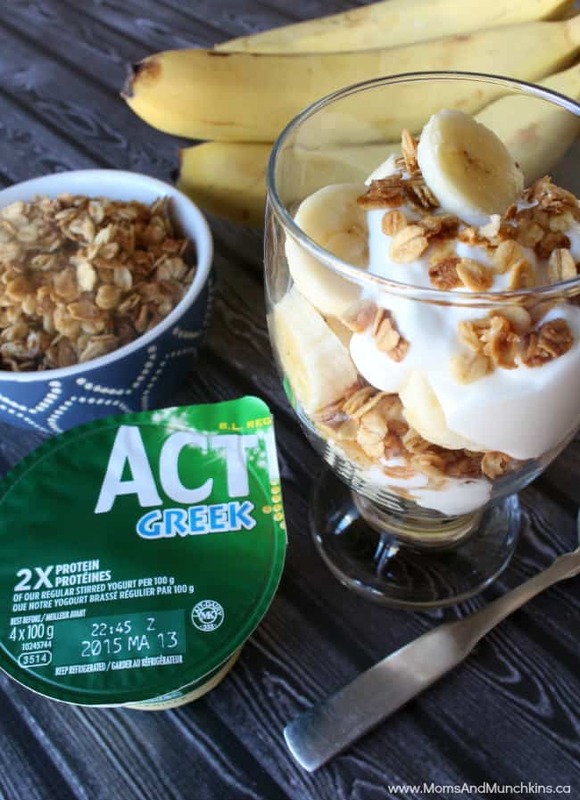 Did you know that the Greek Activia® yogurts have 2x the protein? The lime is my favourite – it tastes like pie! I’ve also started adding in homemade granola for an added crunch. It’s really easy to make! Preheat the oven to 350°F. Place oats in a large bowl. In a separate small bowl, stir together brown sugar, vegetable oil, honey and vanilla until well mixed. Pour this over top of the oats and stir to evenly coat. Place the mixture on a cookie sheet and spread evenly into a flat layer. Bake for 20 minutes but remember to stir it every 5 minutes to prevent burning the granola. Serve with your favorite yogurt mixed with fruit. 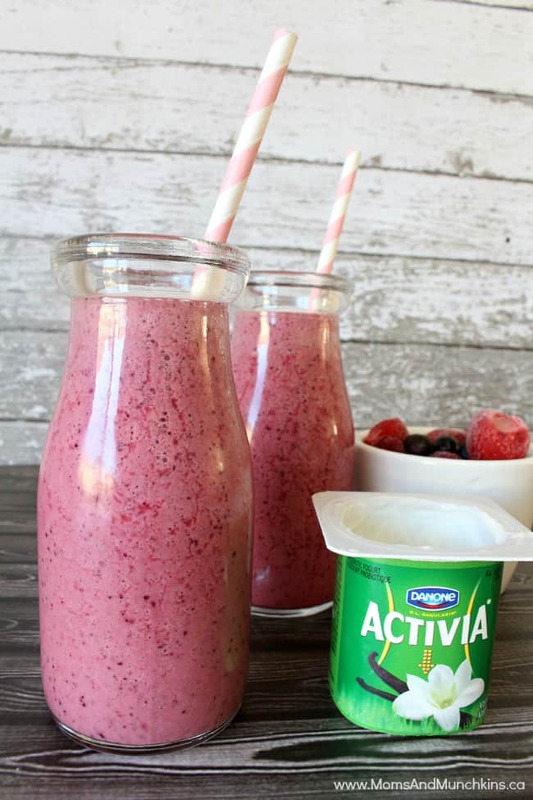 The 4-Week Activia® Challenge may be the most delicious challenge I’ve ever participated in! 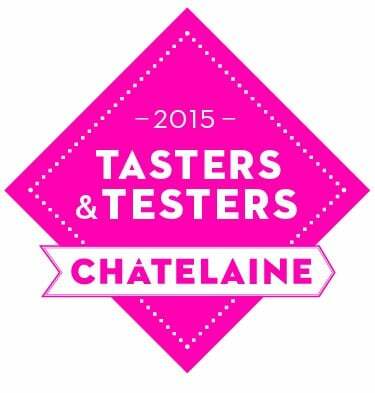 Have you signed up yet? Not only do you get to eat tasty yogurt but you also have the chance to win some really great prizes. There are $5000 worth of amazing prizes to be won! It’s not too late to sign up to join – simply click through to the Activia® Challenge website. Mmm. That smoothie looks so refreshing and it’s simple to make. That is great! Thanks for sharing! Thanks, Nicole! Yes, it’s very delicious!